There are several factors that contribute to cleaning out attic insulation. Rodent infestations can make your attic a nasty place, as these pests contaminate your insulation with feces, urine, and dead carcasses. Mold growing on the insulation is another cause for removal since molds can be toxic and should be cleaned out as soon as possible. Over time, attics wear out from the outdoor elements, and you’ll find cracks and holes in the walls that could bring in more rodents, moisture, or simply ruin the efficiency of the insulation. Sometimes homeowners choose to replace their insulation with one they deem “better” or more energy efficient. Whatever the reason may be, you’re ready to get rid of that dirty, old insulation, but before you set aside a weekend to tackle the project, you’ll need to make sure you’re well-equipped to handle the task effectively. This starts with safety first! You’ll need gloves, protective gear—clothing that doesn’t leave any skin exposed, a light, and a quality mask to filter air particles. Finally, it’s time to learn what you need to know about how to clean out attic insulation. It might seem like a simple task at first. Grab a whole bunch of insulation, stuff it in a bag, tie it up and repeat, right? If only it were that easy. One important detail to remember is that attic insulation is VERY messy, especially if we’re dealing with blown-in insulation. The stuff is certain to get everywhere, all over you, and all over your home too. To prevent this, you’ll need to lay plastic sheeting down into your actual house to make clean-up a lot easier when you’re done. Another detail that could save you a world of time and trouble is to ask for a volunteer to help. The time it takes to remove attic insulation can be greatly reduced with the help of a partner. Lastly, it might be a good idea to lay boards across the joists in the attic to make moving around much easier. Remember that one accidental step off the joists could result in a headache of ceiling repairs. Whether you’re using your attic for storage or have a rodent or mold infestation, you’ll need to clean the attic out first. For rodent or mold issues, call your local pest control for attic cleaning services. The Green Rat Control will be sure to take care of any messy rodents, ridding your attic of contaminated particles and carcasses. They’ll even seal up any holes in the attic and completely rodent proof the space from any other pesky critters attempting to establish a home there. As for the items and furnishings that may be stored within the attic, it’s wisest to remove these belongings. You may even use this as an opportunity to clean and reorganize the pieces. By removing obstacles, you’ll be able to see and reach the corners of your attic with ease. Once you’ve cleaned and done all the prep-work, the next phase depends on whether you have loose-fill insulation or batt (roll) insulation. Learn more about the types of attic insulation we’ll be discussing here today. This insulation is almost impossible to successfully remove using only your hands or a sweeping method. As stated before, this product gets EVERYWHERE. Depending on whether your insulation is made of cellulose or fiberglass, it could be quite problematic. For example, fiberglass insulation is made of recycled glass and holds millions of tiny glass particles that could land in your hair and become dangerous if inhaled. Let’s not forget that if this product so much as even touches your skin, you’ll be itching like crazy. Cellulose should also never be inhaled as it can cause respiratory issues and irritate the eyes if not wearing goggles or a quality mask. Cellulose will easily stick to your mask and clothes, making cleanup-by-hand practically a nightmare. To clean out loose-fill insulation, you’ll need a high powered, heavy-duty, shop vacuum cleaner. It’ll need to hold a lot of product, so renting one from a facility that specializes in tools and equipment is a good choice. Once you’ve got the vacuum ready, your house prepped, and your partner close-by, you can finally begin the cleaning process. Depending on how large and spacious your attic is, cleaning could require you to move about on all fours, even belly-crawling to reach crevices. For some with smaller attics, it can be a challenge to even get the vacuum into the attic and will require you to get a little creative. However, we recommend starting in the farthest parts of the attic and working your way back towards the entrance. 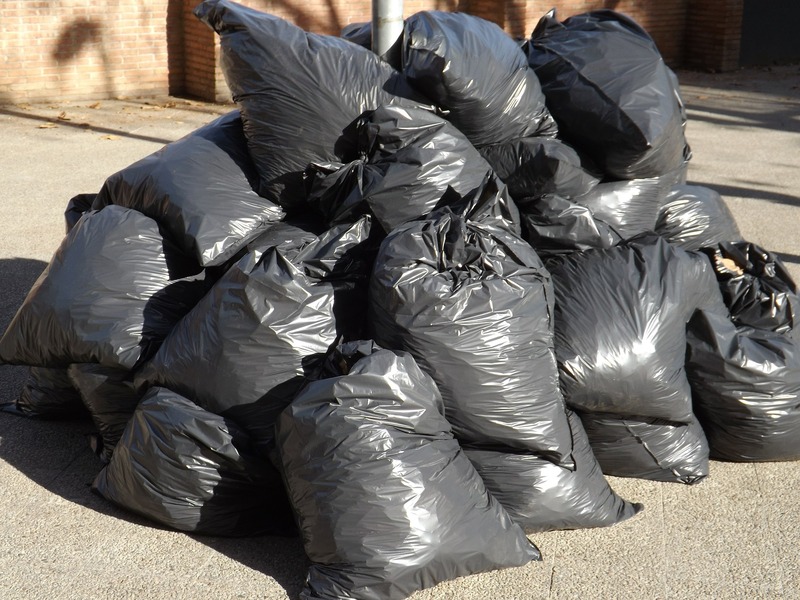 When the shop vac becomes full, you or your partner should dump it out into sturdy trash bags. The huge bags they sell in the hardware stores will work just fine but be sure to have plenty of them on hand as the insulation fills them up fast. Make sure all air is squeezed out of the bag before tying it up. For batt or roll insulation, we definitely recommend removing the product with a partner. Keep all the same safety precautions in mind if dealing with fiberglass and go to work rolling the batts up and bringing them back towards the entrance. Your helper can then take the product from you and start bagging it up as you leave to retrieve more. Batt insulation removal is typically faster and requires less cleanup than dealing with loose-fill, but finish times may vary depending on the size of the attic. Shorter attics could require you managing the job while crawling on your stomach, stalling the project by several hours! 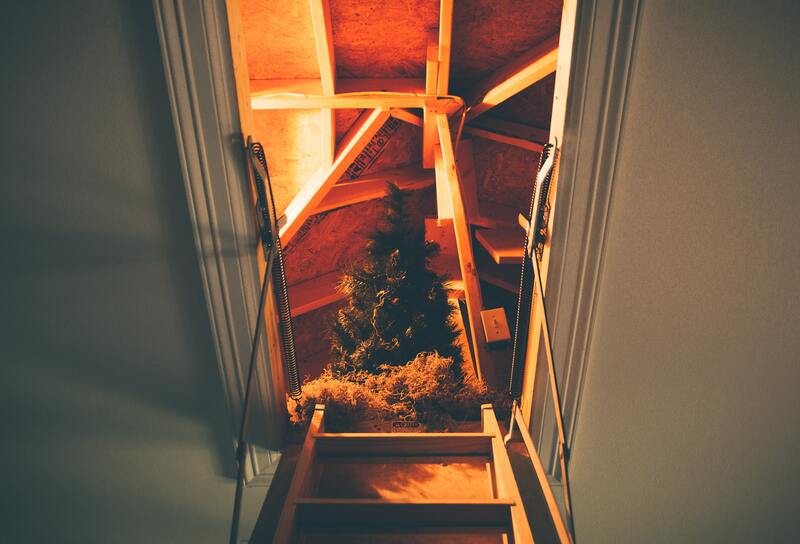 Be sure to research your attic beforehand and have a plan ready to minimize stress and failure. What To Do With The Old Insulation? You’ll need to get rid of it, of course, but it’s not always as simple as dumping the garbage bags out by the driveway to be picked up by trash trucks. Regulations on how to dispose of attic insulation vary by state and county and should be inquired about beforehand, so you’ll know exactly where and how to get rid of it when it’s all packed up. You don’t want soiled or moldy insulation sitting on your property longer than necessary. The last thing you need to clean up around your yard is disgusting, rodent-infested insulation that could become an attraction to more pests. However, if your insulation is infected with rodent feces, saliva, urine, or even mold, we recommend seeking the help of the professionals to remove it for you. Carrying rat-infested insulation throughout your house could spread diseases to other parts of the home and may be hazardous to those tackling the job without the proper experience. The same goes for mold. This fungus may also be extremely toxic to homeowners, having spores that are easily transferrable if disturbed. Spreading toxic mold throughout the home could not only be dangerous but become even more of a burden to remove. Certain steps and procedures must be followed in order for the removal process to be successful. If you’re currently battling either one of these infestations, call your local pest control and ask to know more about attic cleaning and insulation costs. GRC will take care of your infestation and completely decontaminate your attic! What’s more, we’ll even remove and replace all dirty, soiled, insulation, saving you from a headache and the danger. How to Add Insulation to Attic?